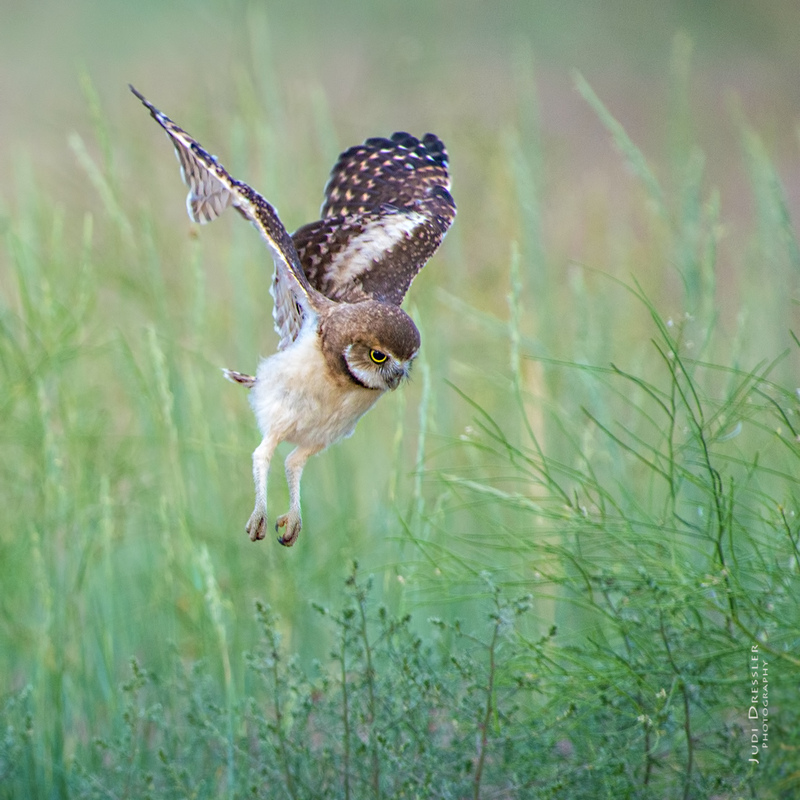 Burrowing owls are so incredibly cute when they’re little! This baby owl is one of five siblings in a family of burrowing owls. S/he is still being fed by her parents, but is just starting to hunt on her own too, as in this image, altho often s/he jumps on weeds or sibling owls or whatever happens to look interesting!